Today, we are comparing the Realme 2 Pro with the newly launched Huawei Honor 8X to see which one offers the best value for your money. Newcommer, Realme is aiming to make its intentions of dominating the Rs 10,000 - Rs 15,000 segment in India. In a short period of time, the company has already launched a total of four phones, with its new Realme 2 Pro smartphone. However, the segment is quite packed with a number of companies vying for the top spot. 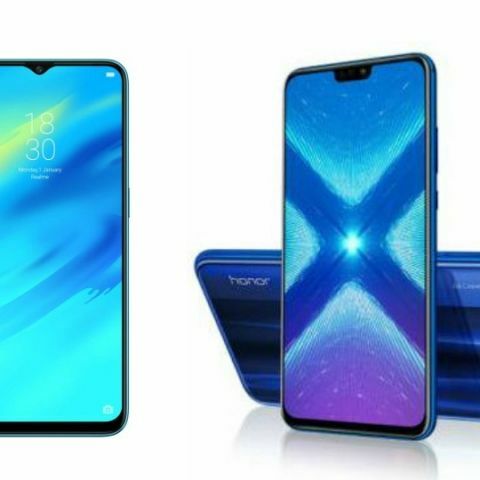 Honor is no stranger to the segment and has just launched a new phone called the Honor 8X. Here's a look at how the two phones stack up. So let’s start with comparing the display of these two smartphones. The Honor 8X sports a 6.5-inch full HD+ display, while the Realme 2 Pro has a 6.3-inch display. Both offer a similar resolution of 2340 x 1080 pixels. When it comes to the performance, the Honor 8X is backed by the Huawei’s Kirin 710 octa-core processor, while the Realme 2 Pro is powered by a Qualcomm Snapdragon 660 octa-core processor. The Honor 8X and the RealMe 2 Pro both are equipped with a dual rear camera setup. The Honor 8X has a dual 20MP + 2MP unit at the back, while the Realme 2 Pro comes with a 16MP + 2MP rear camera. The Realme 2 Pro is available for Rs 13,990, while the Honor 8X in India starting from Rs 14,999.